Originally from Michigan’s Upper Peninsula, I earned BA’s in French and Francophone Studies, Latin American Studies, and Applied Linguistics from the University of Michigan, Ann Arbor, graduating in 2009. After 2 years as a Fulbright English Teaching Assistant in Madrid, Spain, I spent one semester as adjunct Spanish faculty at Finlandia University before completing an MA in Latin American Studies at Tulane University in New Orleans. My MA thesis analyzed Chile’s mainstream LGBT movement through the lens of hegemonic masculinity, exploring its deployment at three crucial moments in the country’s modern LGBT movement. At Rice, my dissertation research seeks to expand on my MA research, examining the margins of Chile’s LGBT movement, specifically focusing on the participation and exclusion of trans* people, lesbians, and racial minorities on the periphery of the mainstream movement. More broadly, I am interested in the portability and limitations of specifically Chilean forms of non-binary gender identities, and the work they can do in illuminating subconscious gender constructs in larger Chilean society. 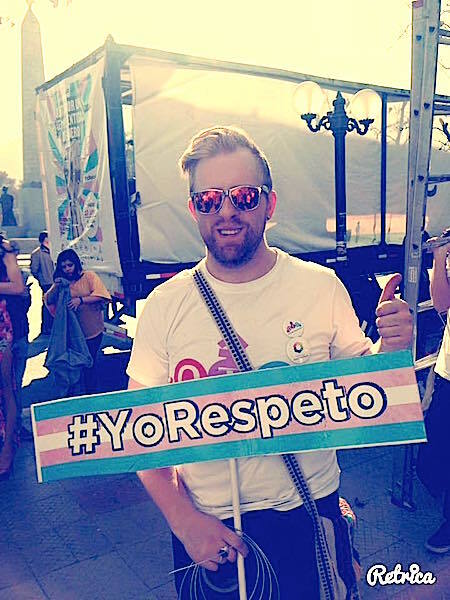 Additionally, I seek to understand the viability of state-centered vs. more radically queer activism for LGBT activists in Chile, especially in the case of underrepresented minorities within the movement, and aim to understand the distinctions and similarities between “traditional” activism—such as street marches and political lobbying—and more performative forms of activism and their ultimate effectiveness in bringing about social change.